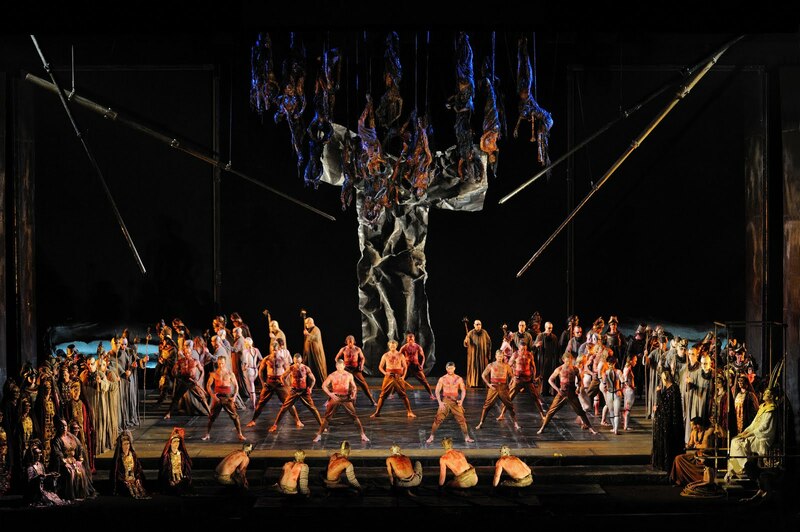 The Royal Opera House are currently on the hunt for 10 men to play silent parts in the upcoming production of Macbeth. The opera company Teatro Verdi, from Trieste, Italy, will need 10 men who are approximately 20 to 25-years-old and 170 to 180 cm tall to play the part of soldiers, and one boy of about 12 years of age to play the son of one of the main characters. Supers or extras, as those playing the silent walk-on roles are called, must be available between September 10 to 16 for costume fittings and rehearsals, and on the evenings of September 18, 20 and 22 for the performances. If you fancy wearing spandex and standing around silently, then send an email to extras@rohmuscat.org.om by August 21 including your age, height, size and why you want to wear spandex and stand around silently. By hiring, I mean casting... I'm not entirely sure if you can get paid for this. UPDATE: Apparently you do get paid, and, much to my disappointment, no spandex is planned to be used in the outfits.